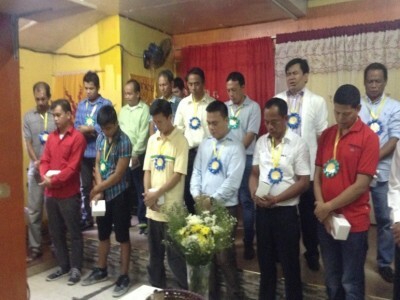 New Life’s Celebration of Fathers’ Day was so special. The men were surprised on how their kids and wives prepared for the day. 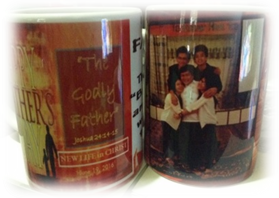 Specially made garlands and personalized design mugs were given to every father as a gift that made them feel loved and truly special on that day. The message was about the “Godly Father” (Joshua 24:14-18) “the father is the pastor of his family”. The challenge was for the father’s spiritual responsibility of their family. 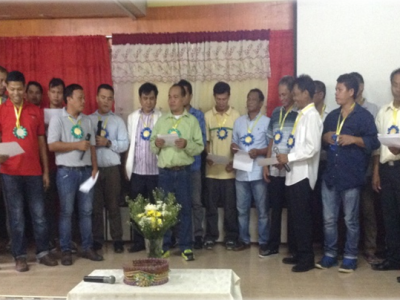 Then, the men’s group called “GUARDIANS” gave a special song number ‘Give us Clean Hands’, a song based on Psalm 24. It was a commitment song that expresses the desire to live life that glorifies God. After the song number, the congregation prayed for all of us. 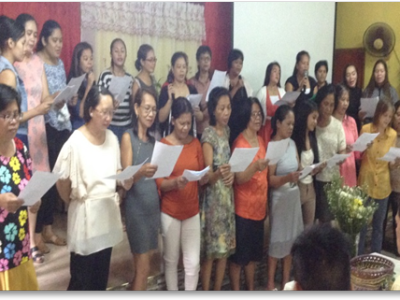 After the men gave their number, the women have rendered their song (Smile in your heart) for the men, followed by the young people with their video clip for the fathers. The celebration was indeed meaningful and a God glorifying one! Please continue to pray for the men that they will be courageous enough to lead their family to intimate relationship with our Lord.